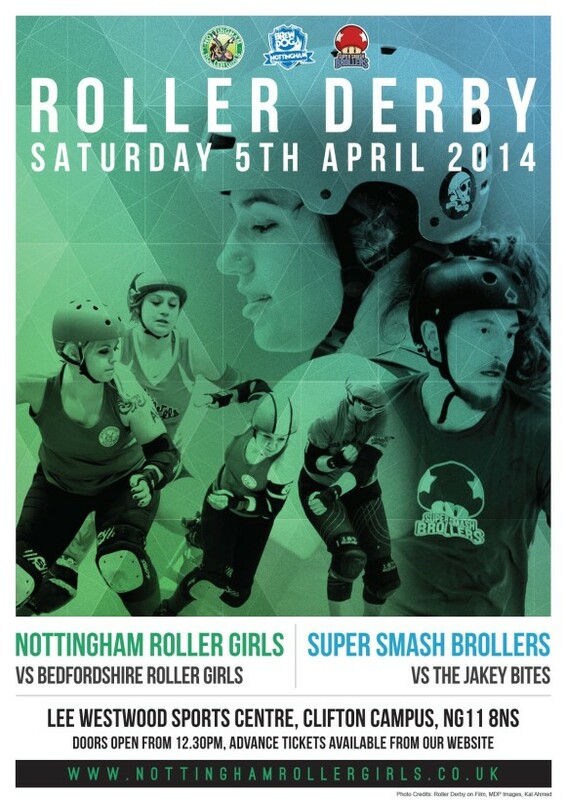 On April 5th, the Super Smash Brollers are looking to kick start their 2014 season with a long anticipated re-match against the Jakey Bites in the headlining bout of our next home fixture. The teams originally met at MERDC 2013 where the Jakey’s were the first to admit being surprised by SSB’s tenacity; WK Deid commenting ‘ For a while it looked like it was anyone’s game to take until the Brollers racked up the fouls’. Despite a 42 point loss, our lads finished the tournament in high spirits and since than have been patiently awaiting round two. It has been quiet on the Jakey front since the final quarter of last year but don’t be fooled; there’s a lot going on in the derby world north of the border and with the appearance of regional leagues last year, many of the roster have increased their training time. Elsewhere, a fair few were seen this weekend wearing the national colours for Power of Scotland, of course! Having kept a clean game and achieving a convincing win against the Skateful Dead, SSB’s hopes were shattered when they faced Barrow Inferno’s away in February losing by 178 points. Much has been said about that game, footage has been reviewed, lessons have been learnt and those in the derby community know that if any team can draw a line under it and move forward, the Brollers can. Captain Danimal leads his team out to face his former comrades; spirits are high and with eager anticipation, we’re counting down the hours. Taking a break from their respective Heartland Series divisions, the opening bout sees NRG face Bedfordshire Roller Girls. Bedfordshire ended Heartland Series 2013 on a high with a victory over Hells Bells and despite the score predictor (flattrackstats.com), we have a feeling that it will be a pretty good match. Like the home team, Bedfordshire have spent the off-season focusing on tactics and nurturing in-house talent. You might also notice that many of their star players only started skating last year and we all know how fast and furious that derby learning curve is: If they were good last year, their opponents in 2014 should leave no room for complacency. No one was as shocked as the Nottingham girls when they recorded that victory against LRD: Whip-its. It was soon back to business, however, when a swift scrim with the Harlots (always a good way to knock a team down a peg or two) reminded them that they’re not quite ‘Giant Slayers’ yet. Under 13s entry is free. AFTER PARTY – We’ll be heading around the corner to The Point for a quick refreshment after the games, then off into the city centre to our favourite watering hole (and home of our new sponsors) Brewdog Nottingham.